Throughout the month of December most of us give pride of place in our living rooms to the lovingly decorated Christmas tree. Whether it is a real live spruce tree garlanded with strings of Christmas lights, or an artificial fibre optic tree with its inbuilt lighting, its cheery presence with sparkling tinsel and bright glass baubles will eclipse even the television screen for the duration of the festive season. 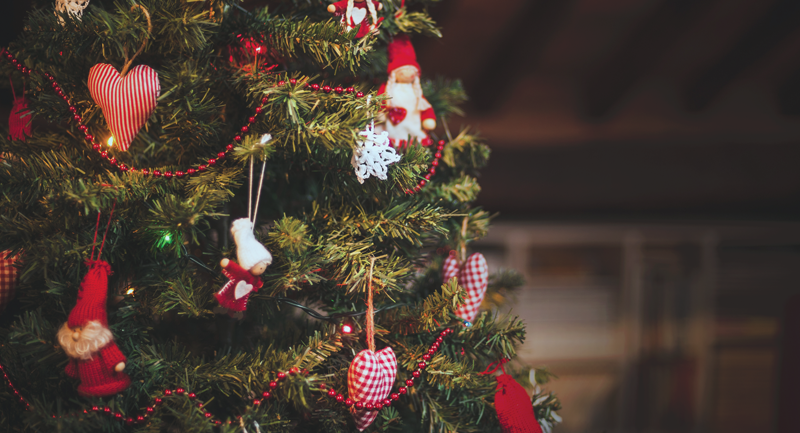 Most towns will have a brightly lit Christmas tree in the town centre, dominating the general blaze of Christmas lights and snow-themed shop windows. In Trafalgar Square in London tradition insists upon a giant 20-metre-high Norwegian spruce donated annually by the people of Oslo since 1947. The gift is in recognition of the support given by Britain to the people of Norway during the Second World War. It is decorated in traditional Norwegian style with over 500 white lights. However, in Stowmarket they do even better. In the fourteenth century parish church of St Peter and St Mary in 2016 they displayed 350 Christmas trees with a multitude of Christmas themes for their decorations. 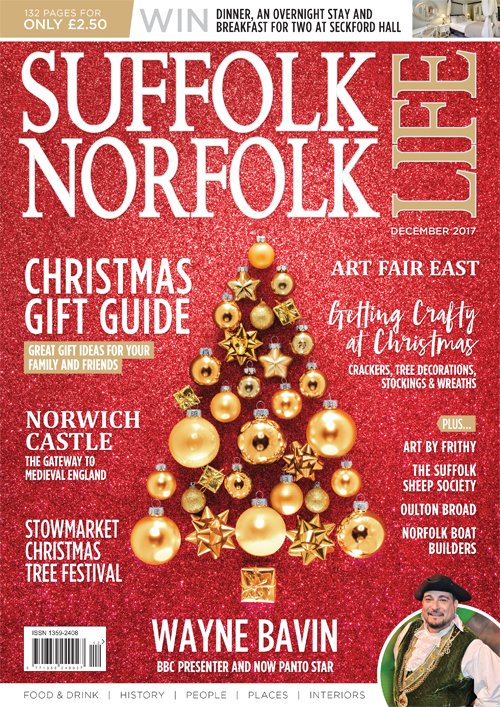 There were more Christmas trees in two other town venues, the Mix Youth Centre and the elegant Queen Anne period Abbot’s Hall at the Stowmarket Museum of East Anglian Life, making up to 400 trees in all. For good measure instead of just one tree in the town centre they had Christmas trees all along the High Street. The Stowmarket Christmas tree festival has been running for twelve years. It is all part of the 3Rs project for the Restoration, Renovation and Reordering of the church and over the years has raised £85,000 for repairs and internal decoration. Admission has always been free but the donations have been generous. When you see the magnificent display with every aisle crowded with glittering, individually decorated Christmas trees you can see why. It is a truly inspiring visual experience. When all the other trees are stripped bare of their leaves the fir trees still retain their brilliant green needles and so fir trees have always been part of pagan and then Christian winter celebrations. The pagans brought fresh fir branches into their homes to celebrate the winter solstice and to remind them that spring would surely come. Christians eventually came to see the tree that stayed alive and vibrant through the bleak months of winter as a sign of everlasting life with God. Fir trees were probably used as Christmas trees in Northern and Eastern Europe around one thousand years ago. The cities of Tallinn in Estonia and Riga in Latvia both claim to have been the first to erect a Christmas tree in the town square way back in the fifteenth century. Youths and maidens danced around the trees as part of the Christmas and New Year celebrations, and then the tree was set on fire, which may have been the origin of the idea of the Yule log. Like London, capital cities everywhere now set up giant illuminated Christmas trees, but in Soviet Russia, after the October Revolution, the Christmas tree was banned. Then it was reinstated as a secular icon and called the New Year Spruce. The Star of Bethlehem on top had to be replaced with the Red Star of Communism. Decorations had to be rocket ships, miniature cosmonauts and industrial items like aeroplanes and tractors, although some characters from traditional Russian fairy tales were allowed.